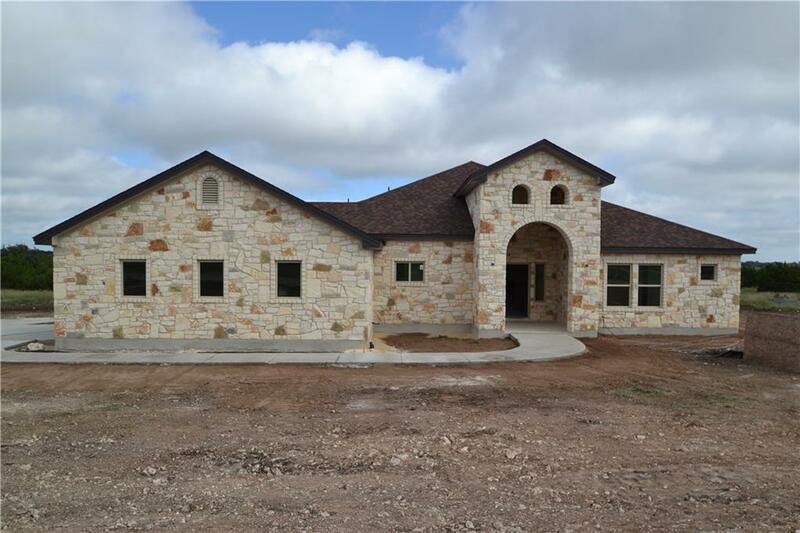 The impressive stone exterior and interior design of this home was inspired by the Texas Hill Country. 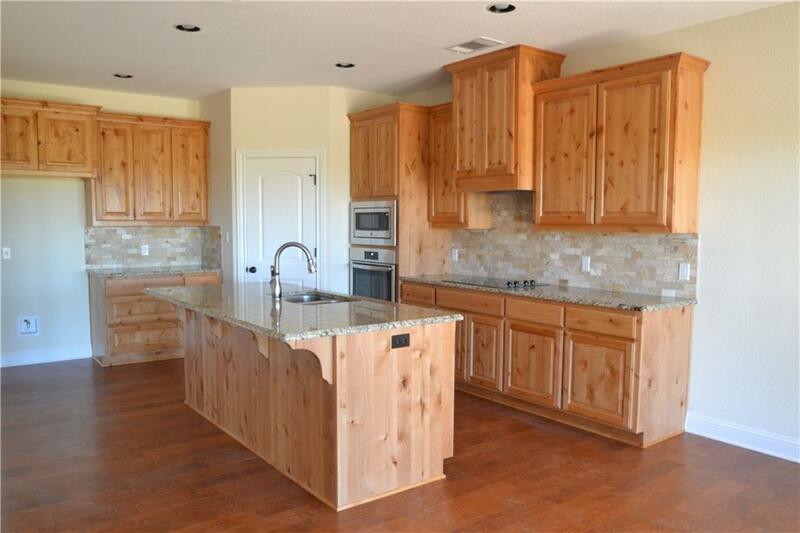 This new home has a large, open concept living space that incorporates the kitchen, dining and living room. 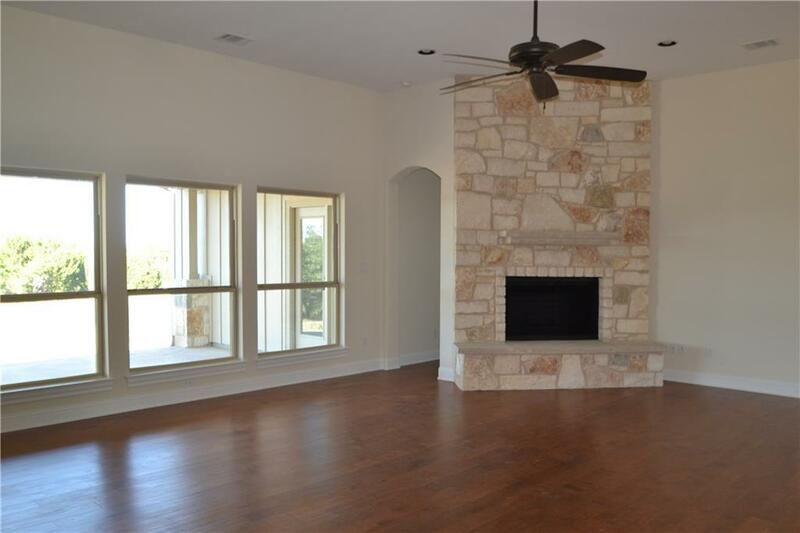 Upgrades throughout the home include hand-scraped hardwood flooring, granite counter tops, extensive woodwork/shelving in closets, two-step crown molding and high efficiency windows. 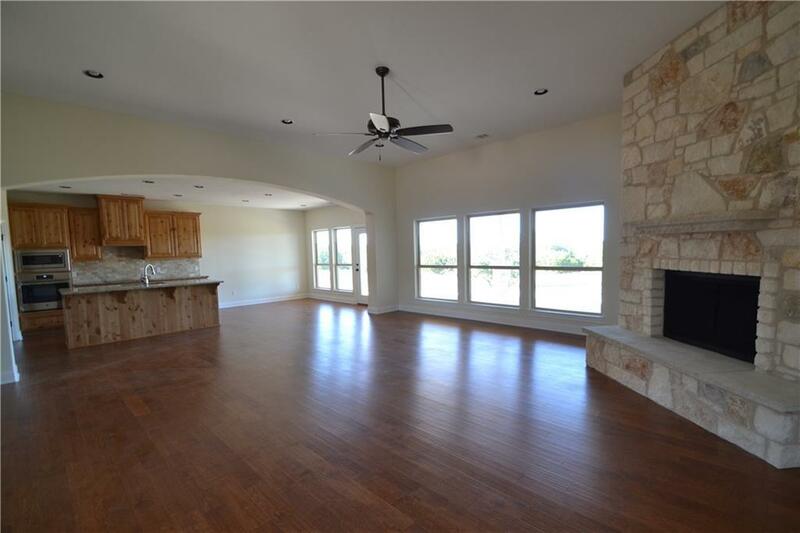 The master suite has direct entry to large back porch where you can enjoy the Texas Hill Country views.